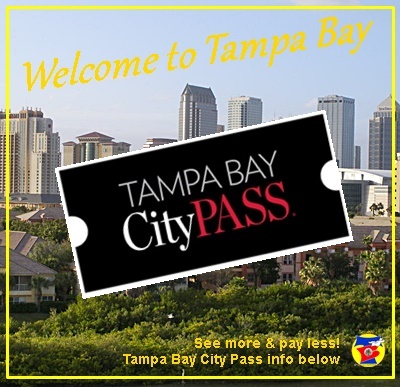 One of the gems a visitor can find in Pinellas County - anchoring the Western edge of the Tampa Bay Area - is a 9,800 acre Preserve on Brooker Creek. A beautiful parcel owned and operated by the County, it offers birding, nearly five miles for hiking and nine miles for the enjoyment of horseback riders. I can honestly say we had a most enjoyable time at Brooker Creek Preserve recently. A warm welcome is in store in the ultra-modern Environmental Education Center "manned" by courteous, personable and knowledgeable ladies. 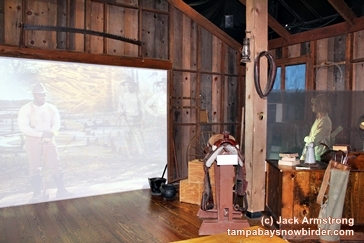 There are many innovative and hands-on exhibits. You'll also find a short split-screen, video presentation that rivals a Disney production. 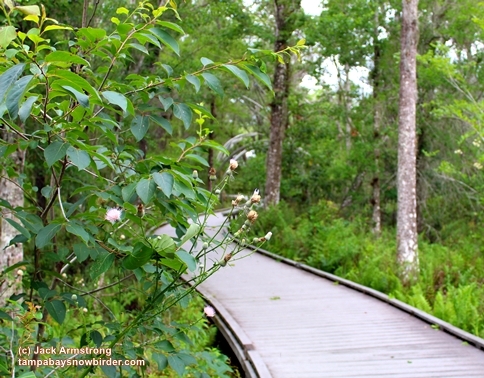 The trails are wide and well maintained - often on elevated wooden boardwalks - offering several trail choices through the fascinating ecosystems that make up nature in Florida. Brooker is a favorite field trip for many area school children. 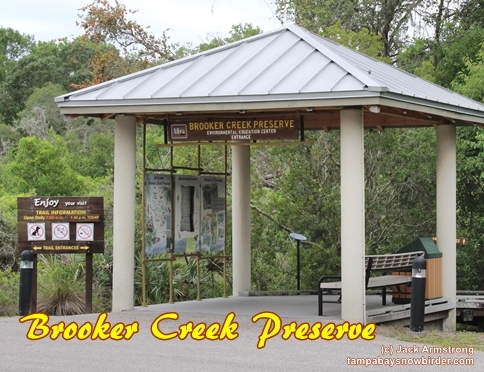 Brooker Creek Preserve is located in Pinellas County, Florida, owned by the Pinellas County government and the Southwest Florida Water Management District and managed by the Pinellas County Parks and Conservation Resources Department. It encompasses 9,800 acres and offers birding, horseback riding, and hiking. The Preserve office is located at 3940 Keystone Road, Tarpon Springs, Florida. 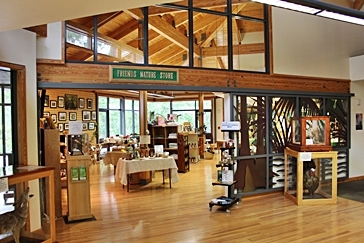 The Environmental Education Center features Florida's natural history and local history. Educational and interpretive programs are offered throughout the year for the public. If you should have a chance, we heartily recommend a visit to Brooker Creek Preserve. We do not think you will be disappointed. See more of our Brooker Creek Preserve photos.